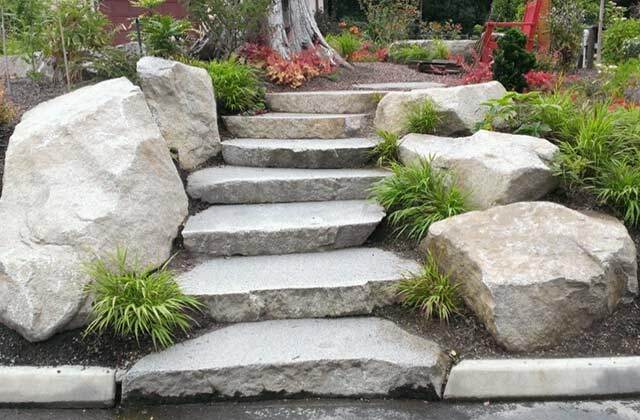 Our 6” thermal top High Cascade (HCC) granite risers are one of the most popular items fabricated here in our shop. Marenakos is one of very few stone fabrication providers in the area that have equipment capable of cutting these beautiful stone risers. 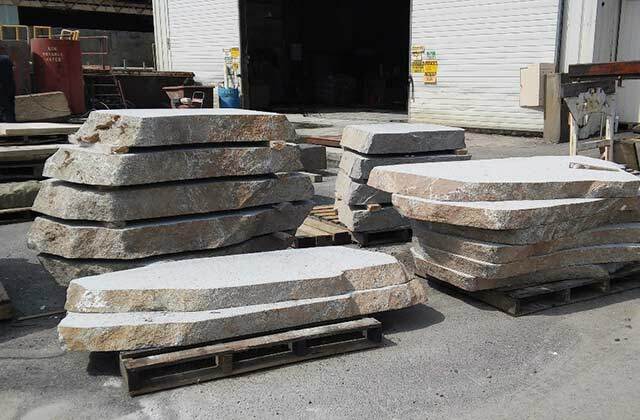 You may select from the risers we have in the yard or you can select your own shape of stone from the HCC boulder stockpile here in the Marenakos Landscape yard and we will custom cut them for you. 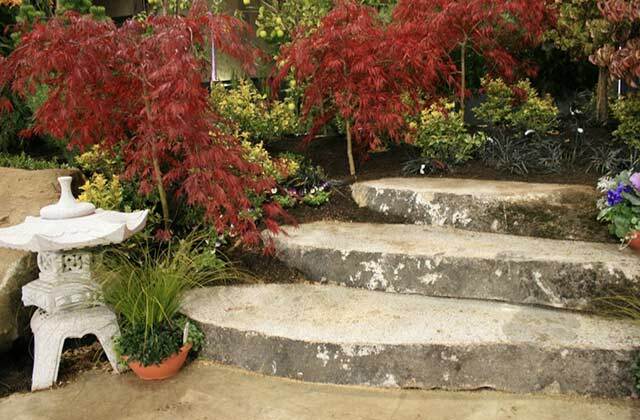 Please note that we can also custom cut other suitable stone into risers if that is what your project requires. Installed in a terracing configuration, they create a flowing stairway.